If cycling is your thing then the Loire valley should definitely be on your list. Here there are 800km of mapped cycle tracks that take you from west to east, along the river and through the vineyards. There is little traffic so even the shakiest cyclist can relax and enjoy the beautiful countryside, wonderful food and great wines. Wine is our thing so we leave the cycling to our friends Ali and Jon at Loire Life Cycling Holidays. 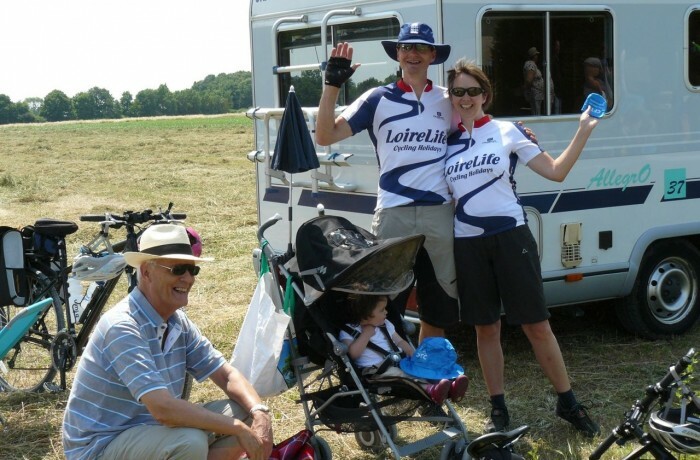 Located close to Saumur they offer self-guided centre based cycling holidays. Their premium holiday is the Loire Valley Discovery Cycling Tour which includes a unique evening meal and wine tasting experience here at le tasting room. What could be better – a beautiful ride through the vineyards and along the river, a three course meal accompanied by a selection of Loire valley wines, a sprinkling of wine education and then a lift back to your accommodation so you can relax and enjoy yourself safe in the knowledge that there will be someone to scoop you and your bike up at the end of the day. For more details see Loire Life Cycling Holidays in France.